If you absolutely love what we’re doing here at GlowwBox and want to play a part then read below to see if it’s you we’re looking for! Do you LOVE beauty products? And do you love to write about them? Do you love learning about new beauty products and trends and can’t wait to share them? Do you want to exercise your entrepreneurial skills and be apart of building a company with a BIG vision? If you answered yes to these questions we’d love to talk with you. We’re looking for a superstar beauty editor or what we’d like to call a director of customer-centric content to lead our content strategy! Lead, create, edit and manage the company’s content in line with the company’s vision, mission and goals. More than just a job, you’ll be a valuable part of out team that will help contribute to the building of our company, seeing your ideas take shape and help contributing to our growth. 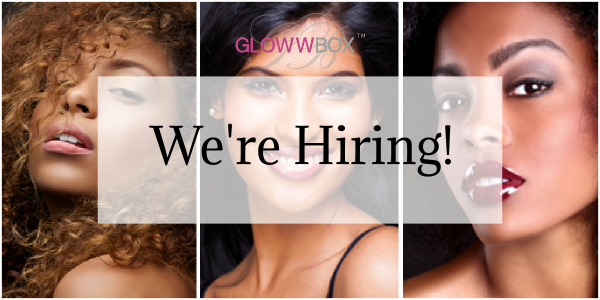 If this sounds like you than please send your CV with a cover letter to team@glowwbox.com and we’ll be in touch! P.S. If you know someone who would love to join us, we’d be really grateful if you forwarded this email to them to let them know! Thank you! Did you get the person you were looking for?